iOS security researcher Stefan Esser, better known in the jailbreaking scene as i0n1c, recently showcased an iOS 7.1.1 untethered jailbreak on the iPhone 5c. This was quickly followed by another untether by Winocm, which was demoed on iPhone 4. And now, Chinese hacker Yeongjin Jang has demonstrated a video showing the process of installing an unsigned app on a jailbroken iPhone 5s running iOS 7.1.1, although unlike i0n1c’s or Winocm’s solution, it appears that this one is tethered. Yeongjin’s four-minute clip of an iOS 7.1.1 jailbreak will certainly be encouraging for those stuck on iOS 7.1 or newer and in desperate search of a jailbreak. It is unclear whether this method uses a similar technique to that of i0n1c’s single, kernel exploit, but with Yeongjin now joining the league of i0n1c and Winocm, we now effectively have three different exploits by three different hackers to jailbreak iOS 7.1.1, making every major iOS device jailbroken on the latest firmware. In the video, Yeongjin remotely installs and runs the unsigned app on an iPhone 5s, but since it cannot reboot without being connected to a computer and assisted by a special recovery app, it is what we would class as a “tethered” jailbreak. An untethered jailbreak, as most of you will know, means that a device can be rebooted over and over without the hassle of connecting to a PC or Mac to boot tethered, and for most, is the only considered option. 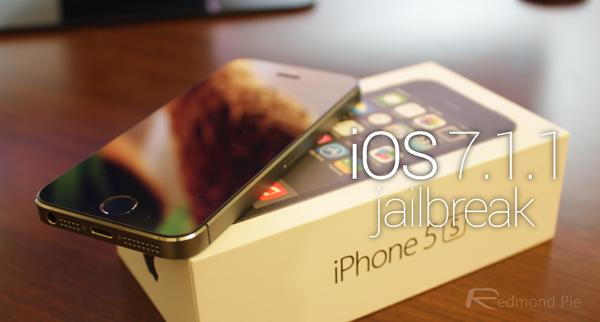 Of course, as fans of the jailbreak scene, we would love to see a publicly-released untethered jailbreak for iOS 7.1.x, but on the other hand, there’s a lingering sense that all of these encouraging exploits should be saved until the arrival of iOS 8. Apple’s Worldwide Developers Conference (WWDC) keynote is now just two weeks away, at which point the Cupertino outfit is expected to take the wraps off its next major mobile software release, and after a couple of months in beta, should hit GM stage around early September. The Evad3rs team worked hard to ensure that anybody wanting to jailbreak pre-iOS 7.1 could do so on any device, and the majority of those who wanted Cydia on their iPhone, iPad or iPod touch had ample opportunity to do so. Still, it’ll be interesting to see where these new developments lead us, and in the meantime, check out Yeongjin’s exploit video below.